Feadship Royal Van Lent launched 62m superyacht Sea Owl. Her exterior and interior design is entirely by London-based Andrew Winch Designs, who has been working with the owner since 2005 and also designed the experienced owner’s previous yacht – a 43m Burger also named Sea Owl. 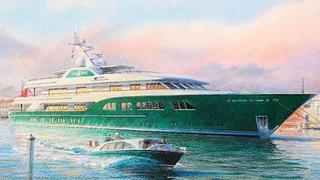 The first Winch-designed Sea Owl featured a green hull, and the new superyacht keeps this signature hull colour. Her exterior is highlighted in classical lines, stainless steel finishes and teak joinery. Stay tuned, launch photos and details from the builder - and a more in-depth interview with Andrew Winch - to follow.